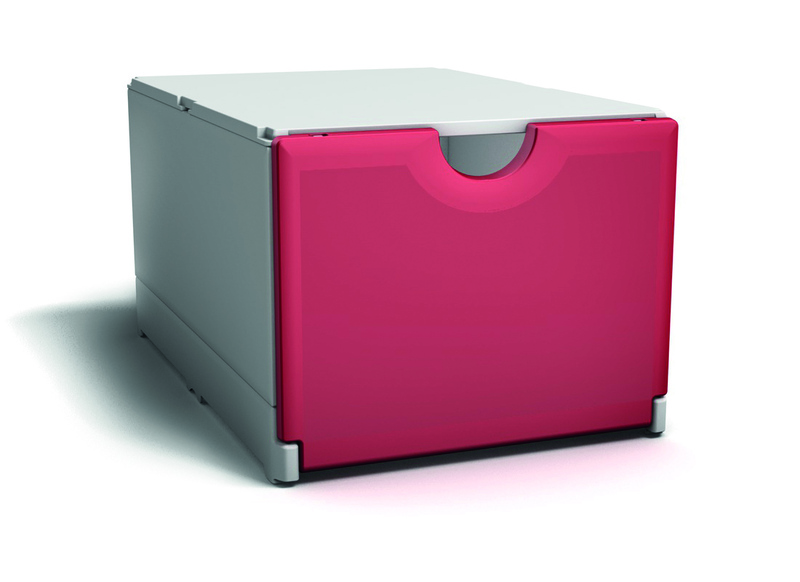 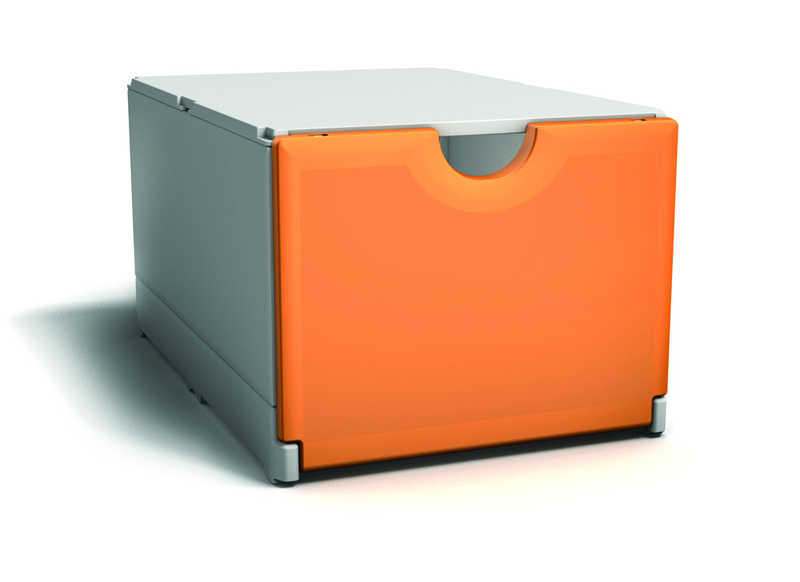 Our Plusbox, the folding box with the intelligent lock­ing technology. 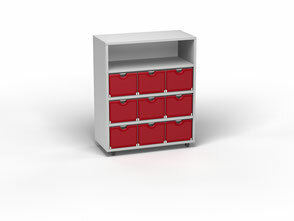 Create your own piece of furniture or individual module and combine our Plusboxes at your convenience! 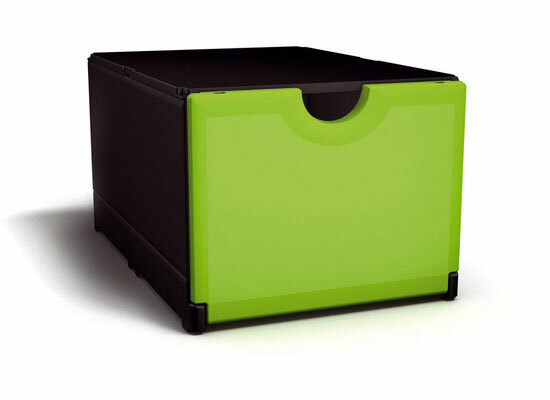 The individual boxes can be connected horizontally and thus gain great stability - in many color combinations. 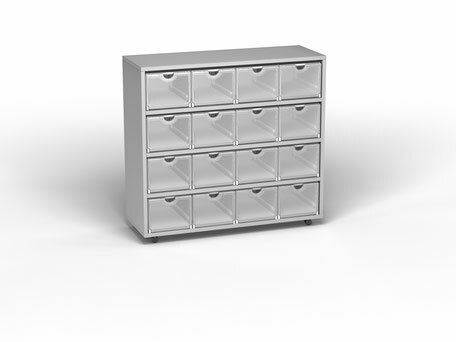 That enables the creation of exceptional wall shelves and cabinets, where various household or office objects can be stored. 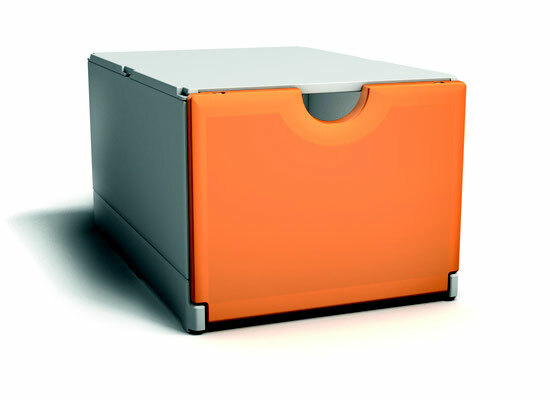 Inserts create additional levels within the boxes, which optimize the efficiency of the inside. As the box has two openings they can easily be accessed from both sides. In addition, the Plusbox can be used in combination with our Smartshelf. The Smartshelf, the perfect storage shelf and attrac­tive dividing wall for every office! 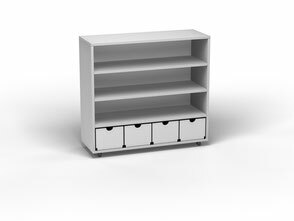 It is a mobile shelf in a tasteful light grey, available in three different ver­sions. 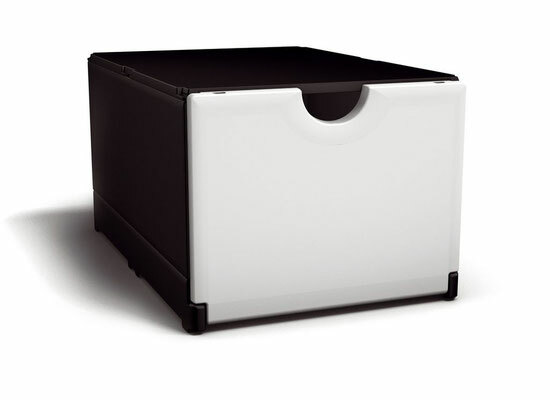 The sturdy body and the sturdy castors allow the storing of various objects and easy movement of the Smartshelf. Our Plusboxes fit perfectly in the Smartshelf and help to organize the workspace. 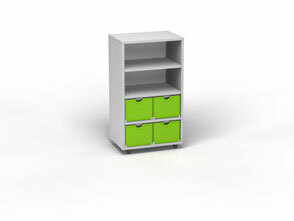 But the Smartshelf also finds its place in your home, for example as a sideboard in the children’s room or a shoe cabinet in the hallway.